Trueskill markets Solar PV systems MW level projects with Single Axis tracking and Roof Top projects with Solar Edge Technology. A “Tracker” is a device that orients various solar energy generating components toward the sun. These components can be solar panels, reflectors, or thermal solar collectors. Solar tracking is used to minimize the angle of incidence between the incoming sunlight and a photovoltaic panel's face reducing reflection losses. 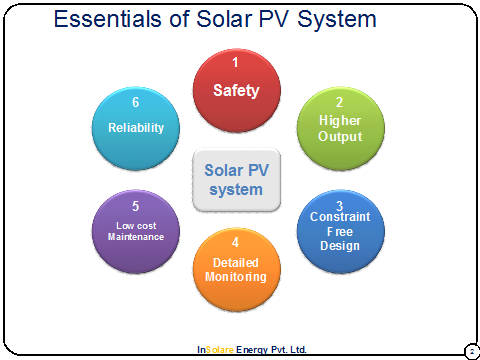 Typically, solar panels are the highest cost items in any solar energy system. Tracking the sun on single axis provides higher output of around 20% with a cost impact of only around 8%, thus a hugely attractive cost – benefit proposition. 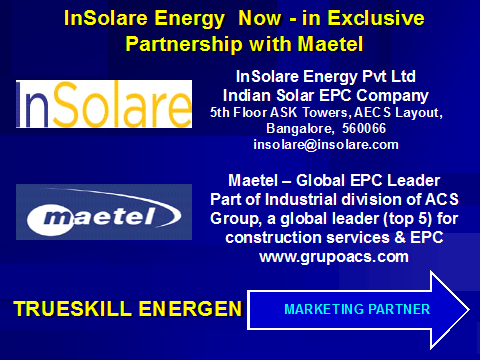 Trueskill also markets the Solar Edge system for which InSolare has the exclusive licence in India. 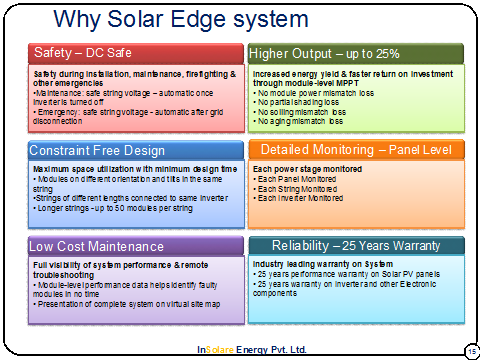 Solar Edge provides twin advantages of Safety and economy.